1st ed. Bound in publisher's cloth, with gold 14th regimental cross on both boards. Hardcover. 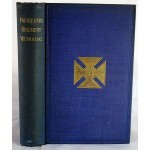 Good binding and cover. X, 443 pages. 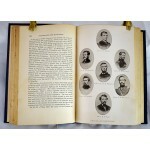 Numerous photographs and engravings of the men who served. Early signature of Henry H. Piper, 1882. 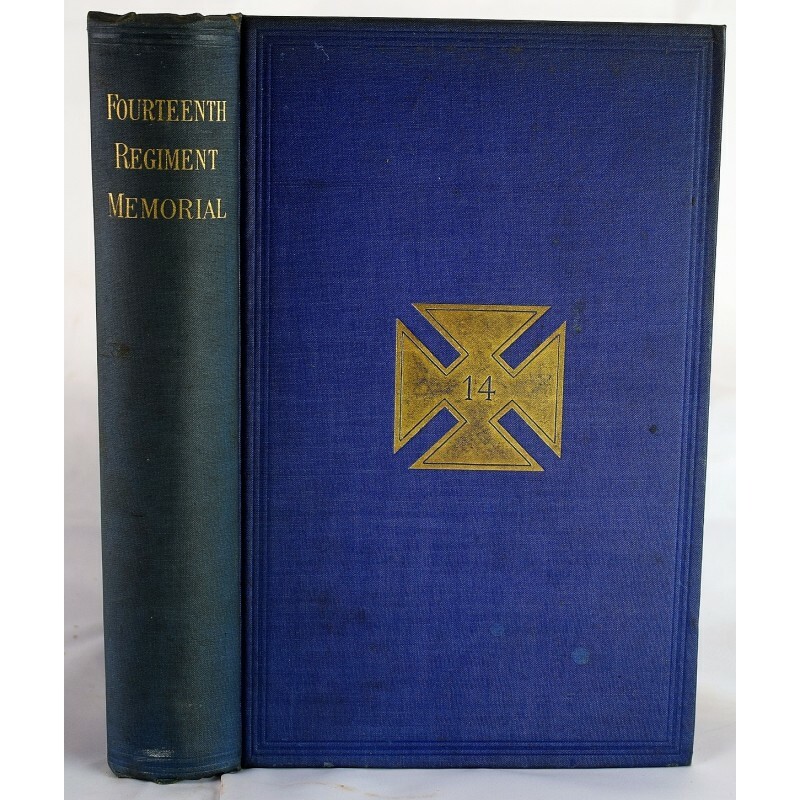 "The author kept a diary throughout the service of the Regiment." - Dornbusch I, page 84. 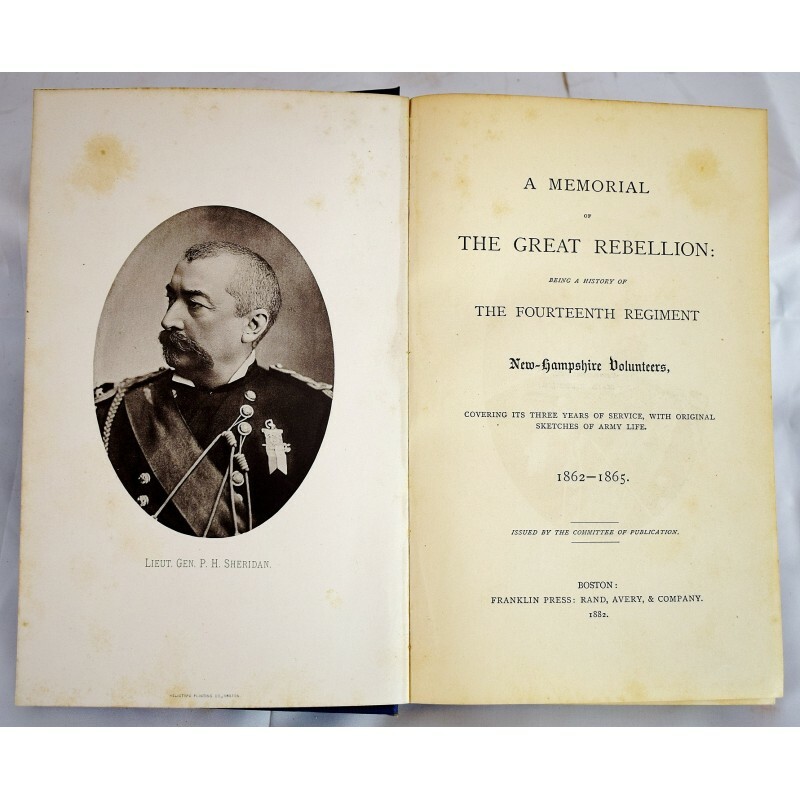 "The Fourteenth Regiment, twenty years after its organization and seventeen years after its work in the Great Rebellion was done, publishes its memorial volume. 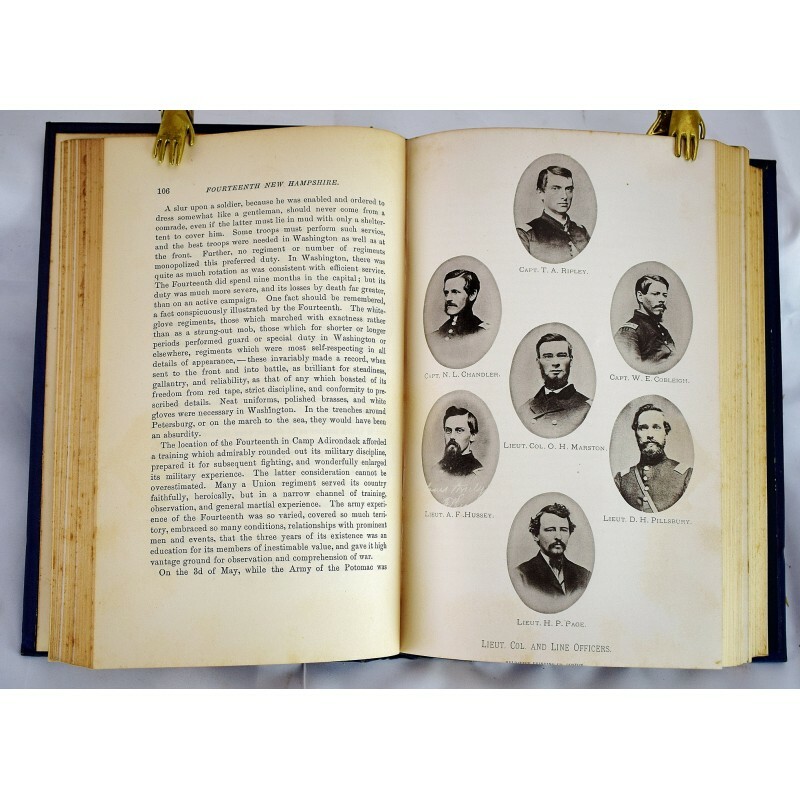 And still it is the first organization of Union volunteers from the Granite State to issue a work of this kind."